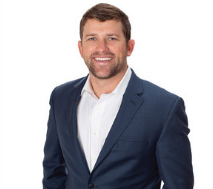 COLUMBIA, SC | Effective Tuesday, January 22, 2019, former South Carolina Gamecock College World Series baseball player, Scott Wingo, joined Recruiting Solutions as a Business Development Manager. In Wingo’s role, he will be leading business development in the Columbia market for Recruiting Solution’s temporary staffing and direct placement service lines. Wingo attended the University of South Carolina where he played on both National Championship baseball teams in 2010 and 2011. He was also named College World Series Most Outstanding Player for the 2011 College World Series. After his 2011 season, he was drafted by the Dodgers in the 11th round. He played minor league baseball until 2014 when he returned to the University of South Carolina as a student assistant for the baseball team and received his bachelor’s degree in retail. He has since coached in the Coastal Plain League and then at North Greenville University where he received his master’s degree in education. His last coaching stint was at Jacksonville University. Scott returned to Columbia in 2018. Founded in 1992, Recruiting Solutions is a woman-owned staffing and recruitment agency with offices in Greenville, Columbia and Florence, SC. Recruiting Solutions serves more than 150 clients around the United States placing quality talent in executive, office professional, information technology and industrial roles. While recognizing that every company’s operational needs are unique, as is the job search for an individual, Recruiting Solutions builds customized workforce and employment solutions by acting as a strategic partner.